Watch Robot Lefter on action!! Robo-Lefter is a maze solving micro-mouse. It is easily constructed and designed for beginners. 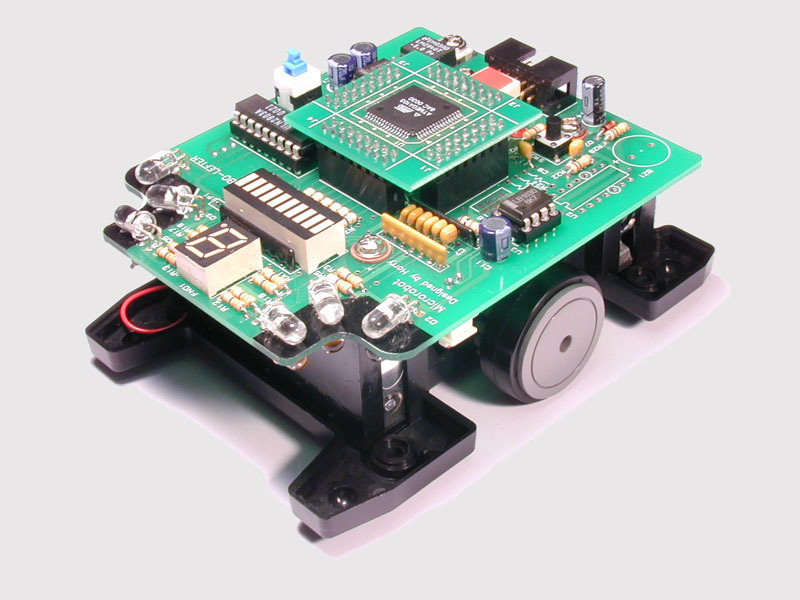 Robo-Lefter was created in order to help young minds develop an interest in robotics. 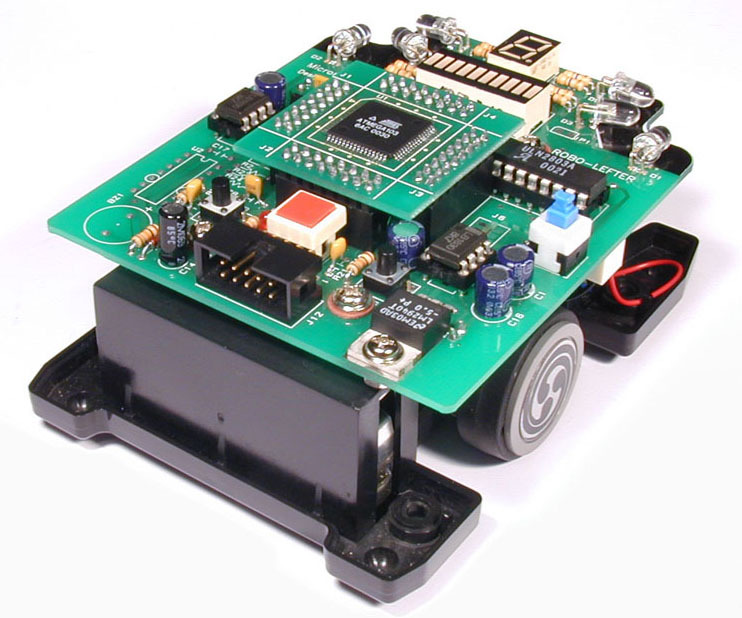 Although simple in its construction, Robo-Lefter employs micro-controller to control both sensors and motors. Early exposure to such technology ensures familiarity and encourages progress to higher level robots. When operational, Robo-Lefter provides the user with a tangible result and a sense of accomplishment. 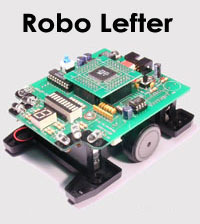 Robo-Lefter has six infrared emitters and six corresponding sensors. These sensors determine its position relative to the walls. This allows it to always position itself in the center of the lane. When turning, one wheel slows down while the other maintains its speed. Robo-Lefter employs a left turn algorithm. Thus, if the left wall of the maze goes forward without a break, the robot goes forwards until it senses either a break in the wall or a wall to the front. If a break in the left wall is found, Robo-Lefter makes a left turn. If Robo-Lefter approaches a corner where there is a wall to the left and one to the front, it makes small right turns until it no longer senses the front wall. It then resumes its path along the left wall. 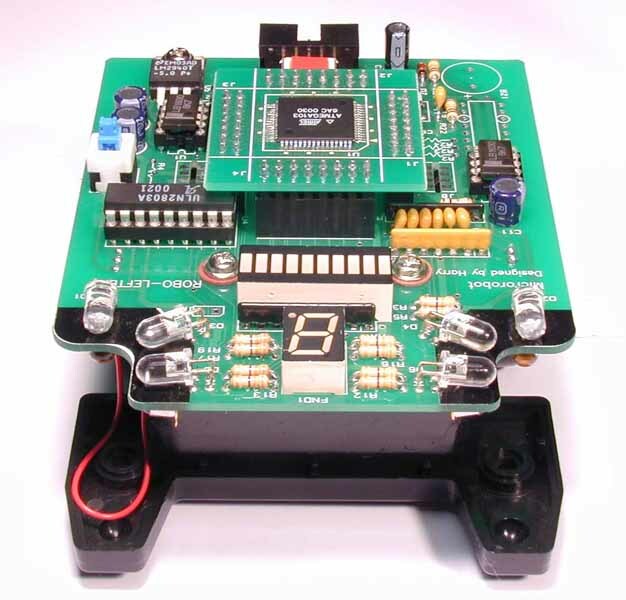 Robo-Lefter uses an ATmega128 Micro-controller. Programmable Flash memory is contained with the micro-controller. 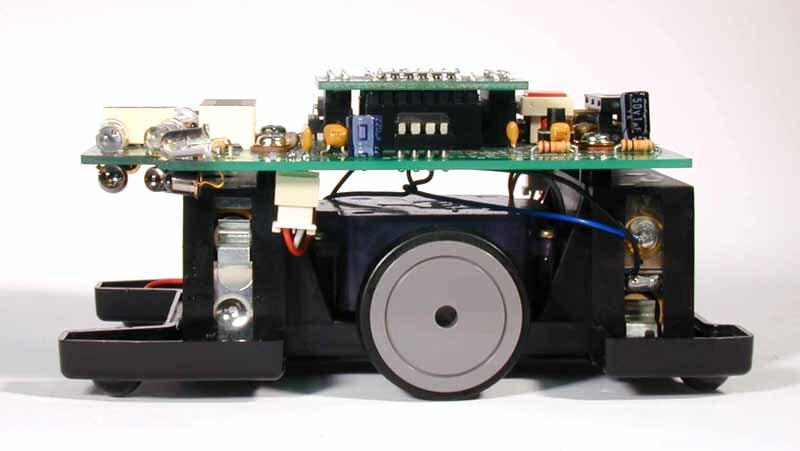 Robo Lefter can be ordered with the circuit board either assembled or unassembled (no soldering required). - ATmega128 CPU with 128KB internal programable flash memory. - Download programs from PC to Robot without ROM Writer. - Aalgorithm : Follows the left wall. - User manual, program CD and download cable included.